Active play is essential for healthy development, but kids today play less than any previous generation. KaBOOM! is working to change that—particularly for children in underserved areas. 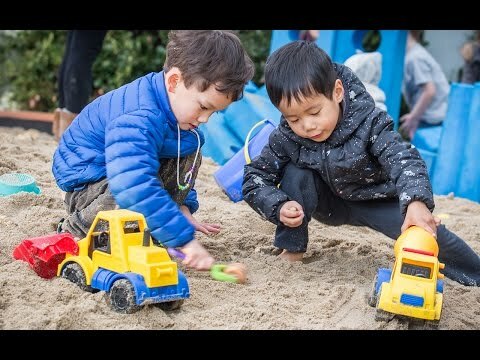 Educating families on how vital play is, and how to fit it into their children’s schedules, is one important initiative. KaBOOM! also works with cities to make communities more kid friendly. That includes creating or renovating play spaces nationwide so that they’re fun and safe. The impetus for Founder Darell Hammond to start KaBOOM! was, sadly, a tragedy. A new DC resident in 1995, he learned that two children had suffocated while playing in an abandoned car—because they didn’t have anywhere else to play. This heartbreaking story turned Darrell’s well-established charitable side in a new direction. In the last 20+ years, KaBOOM! has built or renovated over 16,000 playgrounds, serving more than 8,000,000 children around the country. But there’s more work to be done, and more kids to help. KaBOOM! is on the case—making sure more and more kids have safe, healthy chances to play every day. 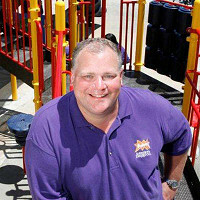 Hi, I’m the CEO of KaBOOM!, the national non-profit that seeks to give children the childhood they deserve filled with balanced and active play, so they can thrive. I’m excited to share our story here on The Grommet and look forward to sharing more about the important work we do. 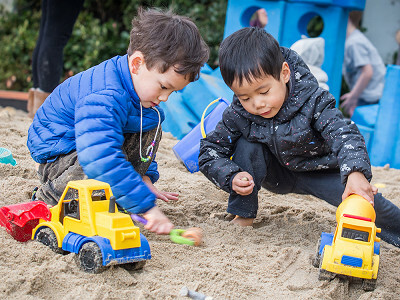 Play deserts can negatively affect families, but how do they negatively affect cities? Play provides a competitive advantage for cities by developing healthy kids and thriving communities. To attract and retain the businesses, jobs and residents who breathe energy and enterprise into their neighborhoods, cities first need to foster family-friendly, kid-friendly environments that promote play everywhere - and it must also happen in low-income, underserved communities. How is KaBOOM! working with cities to make play possible everywhere? When most people think of active play spaces, the first thing that comes to mind is a playground. Can you give us an example or scenario of how cities have innovated in making their communities more "play-able"? 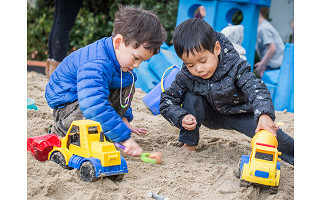 Broadly speaking, a playspace is anywhere children and teens can play, such as public parks, soccer fields, nature trails, beaches, and more. If we think creatively, we can transform bus stops into swings or crosswalks into hopscotch. For example, Baltimore had a thought-shift around vacant land, now it views vacant lots as an untapped resource available to residents. With play opportunities disappearing, what reactions has KaBOOM! received from kids, parents, and/or the communities, through their work? To put it simply, they want and need more. People don’t just want great parks and playgrounds; they want a complete reimagining of what our urban spaces and places look like — from sidewalks and bus stops to health clinics and laundromats. Working together with leaders from every sector, we have the power to achieve this reimagining. Active play is essential for healthy development, but kids today play less than any previous generation. KaBOOM! is working to change that—particularly for children in underserved areas. Educating families on how vital play is, and how to fit it into their children’s schedules, is one important initiative. KaBOOM! also works with cities to make communities more kid friendly. That includes creating or renovating play spaces nationwide so that they’re fun and safe. The impetus for Founder Darell Hammond to start KaBOOM! was, sadly, a tragedy. A new DC resident in 1995, he learned that two children had suffocated while playing in an abandoned car—because they didn’t have anywhere else to play. This heartbreaking story turned Darrell’s well-established charitable side in a new direction. In the last 20+ years, KaBOOM! has built or renovated over 16,000 playgrounds, serving more than 8,000,000 children around the country.